I have been playing short scale basses for about 40 years. 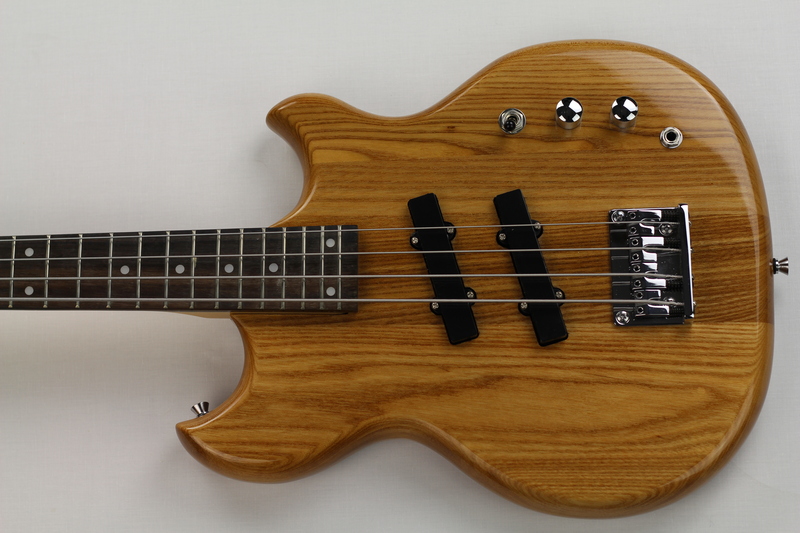 I’ve been searching for a good fretless short scale that I can actually afford. It looks like I’ve found it. Thank you for taking up the cause. 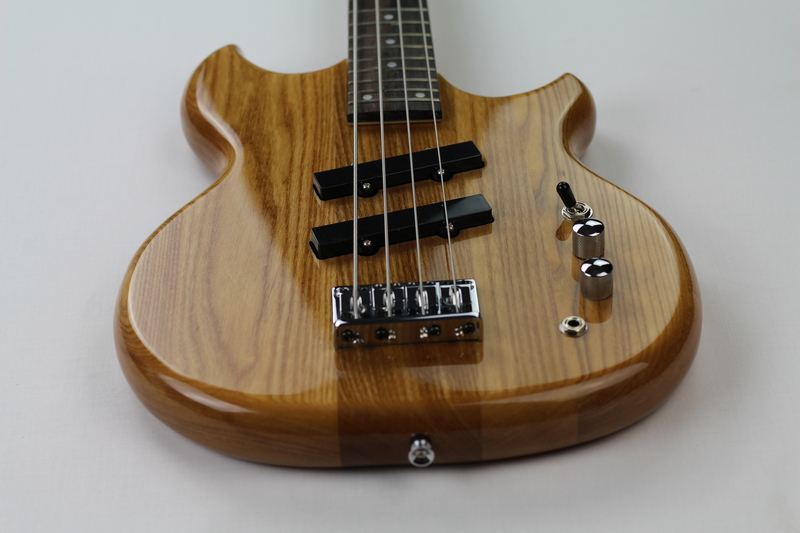 Too many people base their opinions on short scale basses on the cheap student models they find in the stores. There are two things I would have done a little differently. First, I would have rounded the horns for several reasons. It would make cosmetic damage less likely if you’ve ever banged one on it’s edge, you know what I mean. It would look better, in my opinion. Most importantly, I prefer the strap button not be tucked under the horn. Second, I would offer string-thru-body too. On a short scale bass, it really can help with the tension issue. I’ll be buying one shortly…Maybe two. Hi… are you considering any in Cherry Red? I am currently playing a Guild Starfire II and in the past an Alembic SC with slimmed neck taper. Both necks feel the same a soft vintage ” U” shape. 1 1/2″ at the nut. From other post I have read it sounds like the SWB-1 has the same setup. My question is can you order the controls setup like a Jazz bass volume, volume, tone to get that crisp progressive sound or Jaco sound you get when rolling off some of the neck pickup volume? 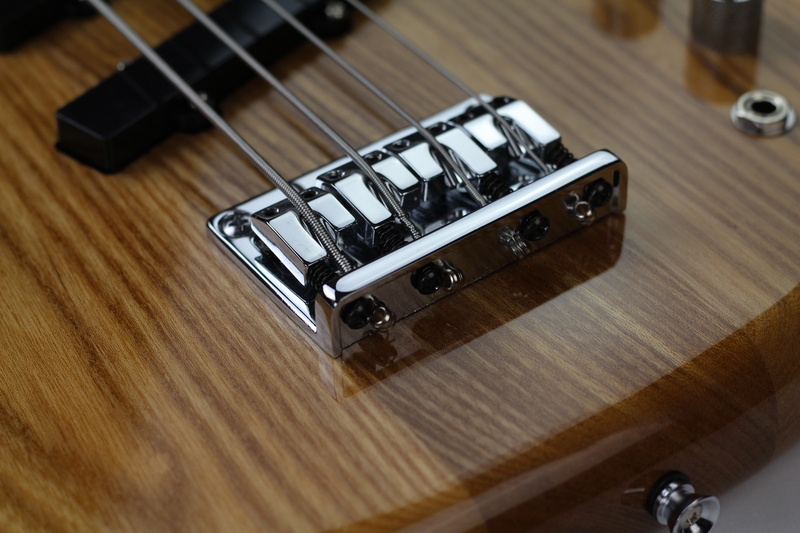 Can you also order the bass with EMG – JVX Pickups? 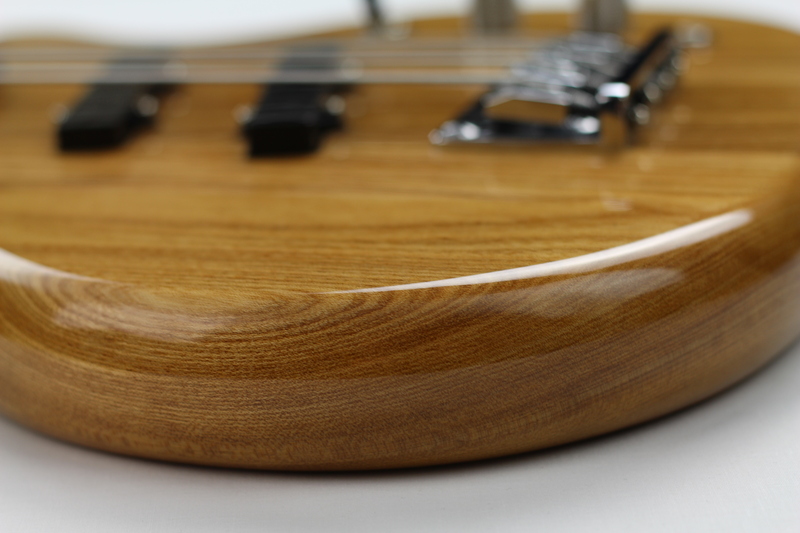 very interested in your bass….Any way of getting one to weigh less than 7 lbs? I realize 7 lbs is light but I have very bad neck and back problems. The Mahogany version (surprisingly) is a little lighter than the ash (which is the one that weighs 7lbs). I gigged the mahogany version on Monday night and it felt no fatigue whatsoever in my back and shoulders. I too suffer generally with back problems. Wonderfully thorough demos… thank you. I was curious what the shipping cost would be with a flight case to the greater New York City area. The shipping is the same with or without the flightcase as I will ship your bass in the flightcase if purchased, so you kind of save ordering at the same time. There’s an option to select ‘with flightcase’ on the product page. 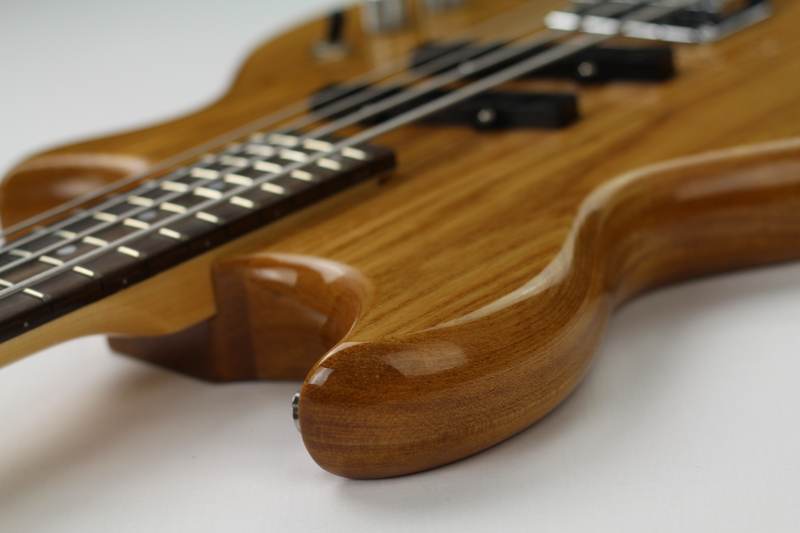 Also, if you add your preferred bass to your basket, there is a shipping calculator which will give an accurate quote before you go to checkout. Hi Scott, great news that this is available. Any chance to have the fretboard to be maple? Would really love to have one. 2. 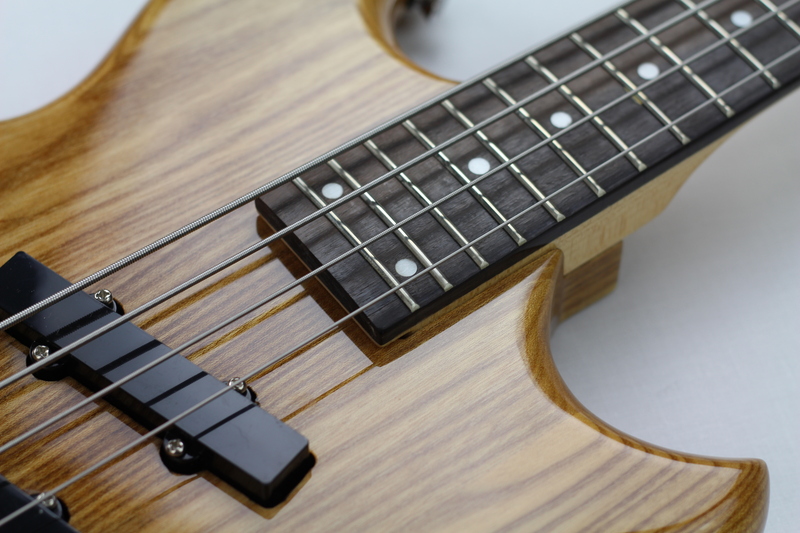 Does the fretless version have lines (filled with wood or epoxy)? Lined is my preference. 3. 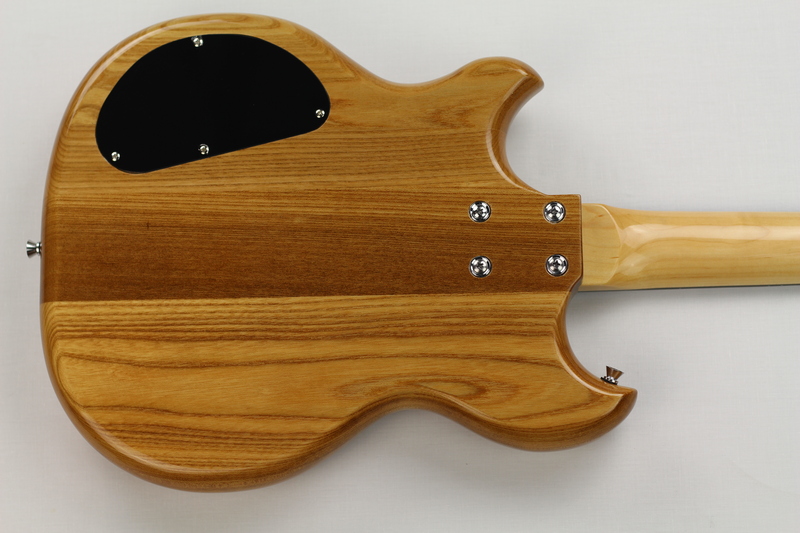 Will there be any noticeable tonal qualities between the body wood type paired with passive pickups: Ash versus Mahogany? Hi Brian – thanks for your question. 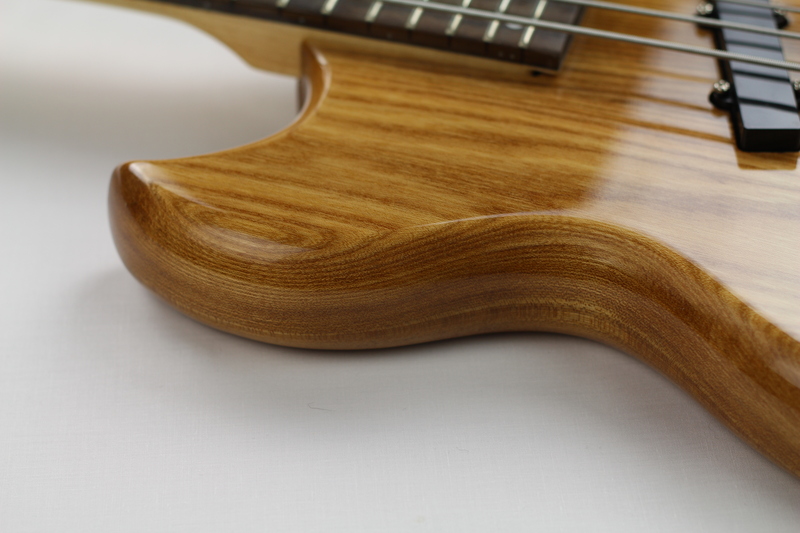 The standard fretless will not be lined, but I will do upon request this for you Brian, Just make sure you mention it in the Order Notes box at checkout. 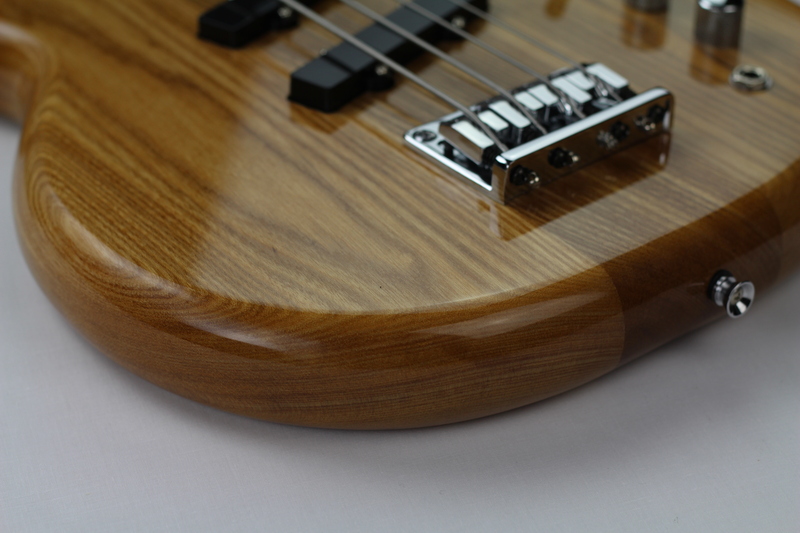 Both the Ash & Mahogany will sound very similar, the ash having a slightly more middly tone. 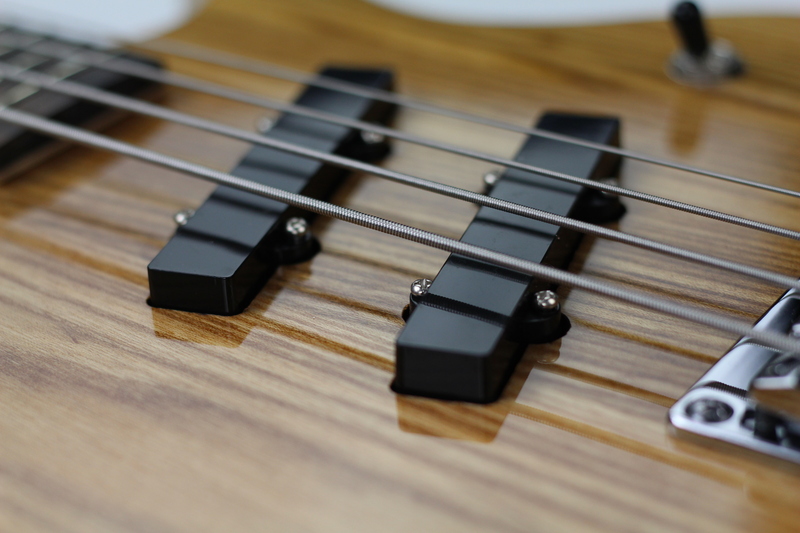 Either woods work exceptionally well for fretless. What kind of customisation is possible? 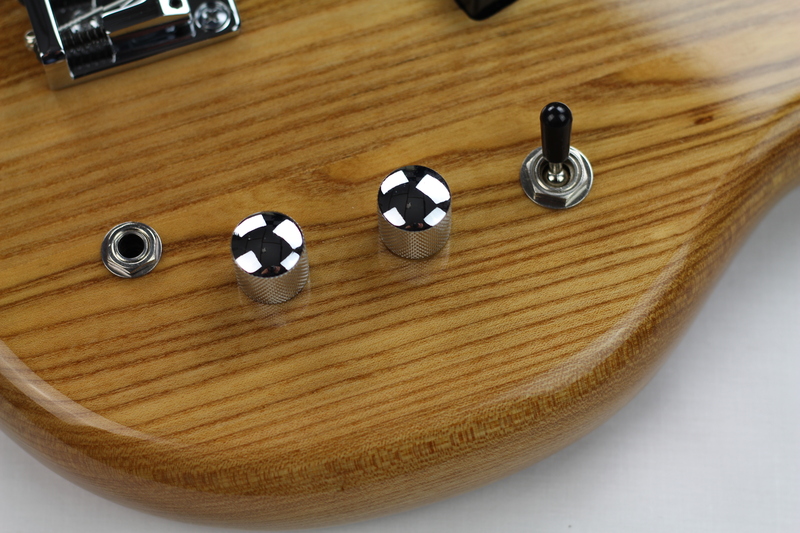 Would is also be possible to order a bass with an unfinished body (to paint myself) or in a certain color? Hi, Im from spain , how can I Get one ?, this bass looks and sound Incredible! Hi Scott, love the bass & the whole concept, fantastic. Hi there Dave – thanks for the encouragement! The P-pickup thing sounds like a great idea, and is something I’ve considered. For the foreseeable future I’ll be sticking with the 2 Jazz-style pups until things get moving. 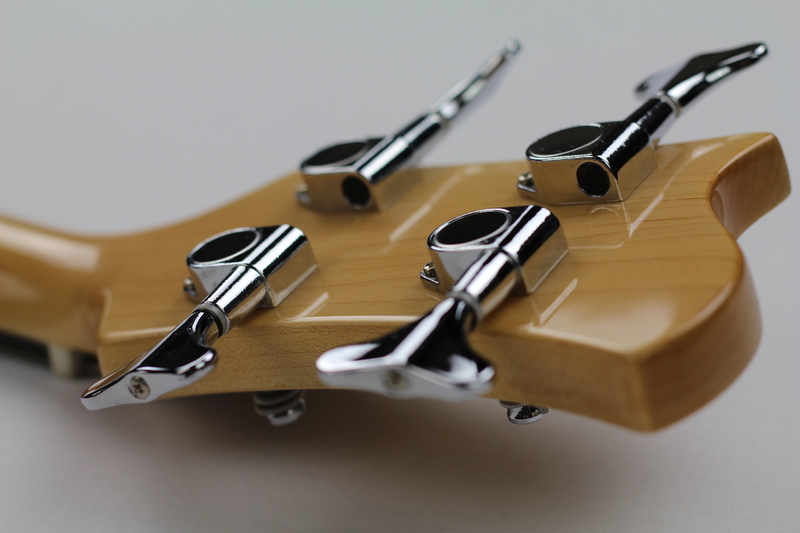 A great alternative would be to fit a Dimarzio model-J in the neck position as they are split coil very much like a P-bass pup. Not too expensive an upgrade either. One request — when you get around to doing your new demo video, could you throw in a half-minute or so of some slow, moody blues lines, and not quite so much fast-paced jazzy, popping stuff? If I had chops like yours, I’d want to show them off, too, but I don’t. I’d get a better idea of what the SWB-1 would sound like the way I’d play it, if you did some down-tempo stuff on it. Thanks! Sounds great; very impressive. I realize international shipping charges would drive the total price up, but is there going to be a way for somebody in the USA to get his hands on one of these? Cheers! Sure. I’ll be happy to ship to the States. Not sure at this moment about cost but will report back soon…. Great, thanks! 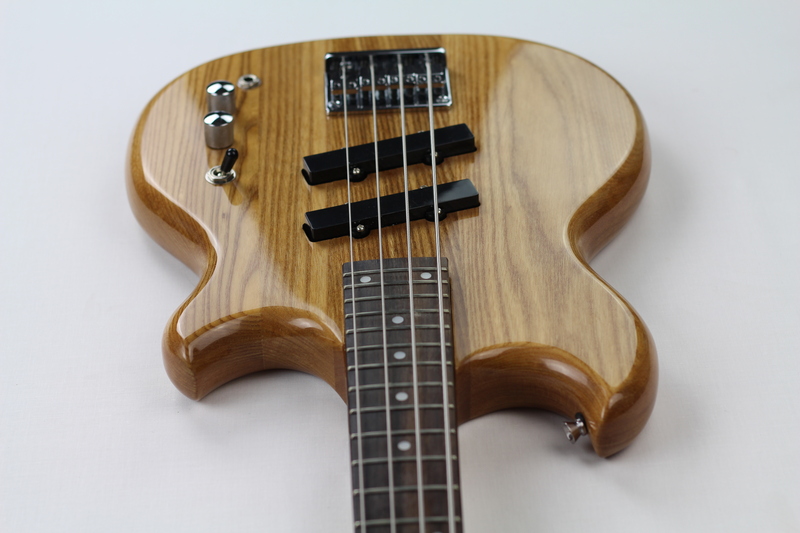 This SWB-1 looks like the best deal going in a short-scale bass, even with shipping costs. Best of luck with this enterprise! 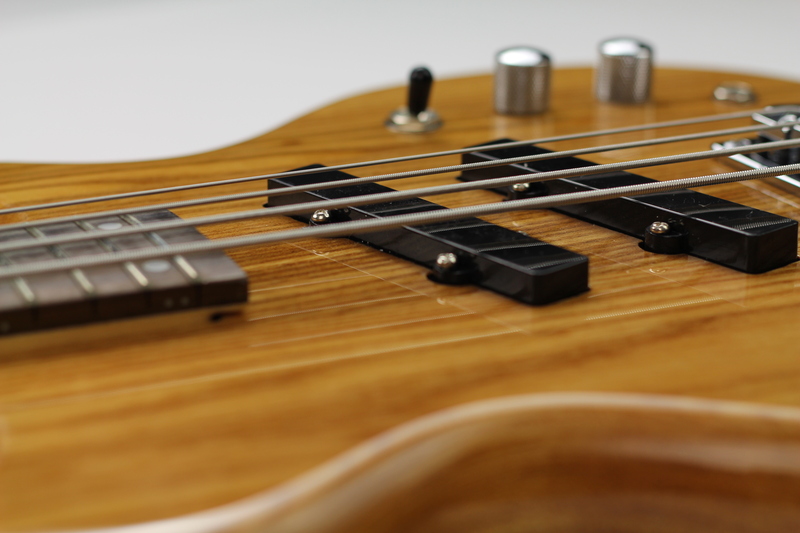 Looking into fretless 32″ scale 4 string basses myself – any suggestions? The new samples will be with me next week and then all being well I will start to take orders for the first production run!!! 🙂 A LEFT HANDED version will be available to order! Prices will be as follows (add £10 for left-handed)…. Hey Scott, I asked you recently on Youtube if there was any chance of a left hand version of the SWB-1 Standard. You said you would look into it, so here is my email address to be able to reply with any details. Just out of interest is the SWB-1 in the Youtube video the Ash version? Look forward to hearing from you, Regards, Darren. 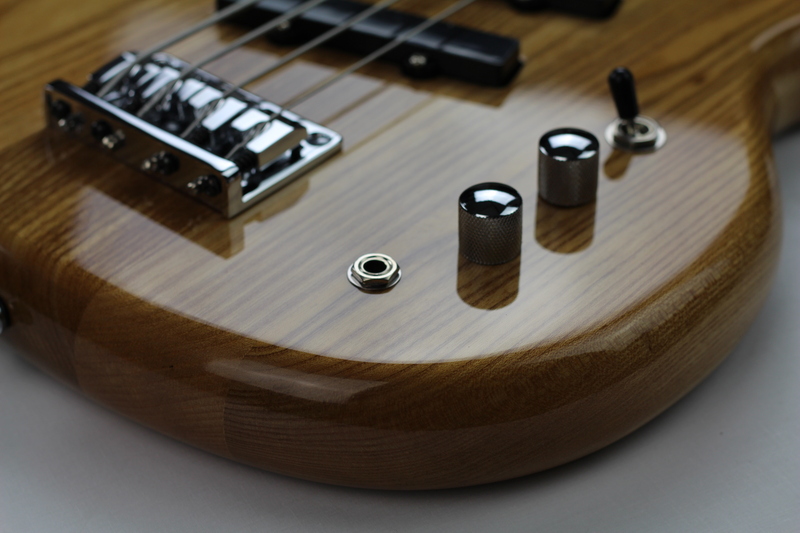 hello – who said that a short scale bass cannot sound splendidly?